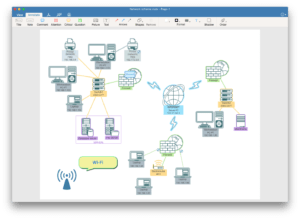 MS Visio® is widely used by architects, engineers, business analysts, project managers, and others to draw flowcharts, block diagrams, business process illustrations, graphs, networks, floorplans and visually design all types of data. Visio® flowcharts and diagrams have .vdx, .vsdx and .vsd extensions, that cause troubles when trying to open them on a Mac, iOS, and any other non-Windows platform. Most people have no need to buy Visio, as it is a complex software and cost more than $200. Visio® alternatives for Mac also seem to be too expensive when you only need to open VSD and VSDX files between once in awhile. 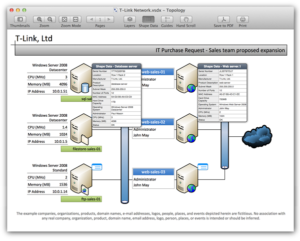 So, what is the solution when someone sends a file in Visio format to your Mac? We have prepared some options for you. The Last version of Microsoft Visio® has native support for the PDF format, so it is expected to ask for the PDF file format of Visio® flowcharts from your colleagues. For the earlier versions of MS Visio® you can use special conversions programs to export Visio® formats to PDF. 2. 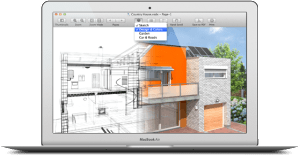 Preview Visio® documents on Mac with VSD Viewer. Converting Visio® files every time takes time and can be annoying. If all you need is to just preview Visio documents, it is recommended that you use the VSD Viewer application from Nektony. There are other apps in the App Store, but the most powerful one is VSD Viewer. The rendering quality of some apps is low and the images are shown incorrectly. Unlike others, VSD Viewer displays diagrams exactly the same way as MS Visio® does. It allows you to preview drawings with layers, view shape data, switch hidden layers’ visibility and view documents with embedded OLE objects and metafiles (EMF and WMF). 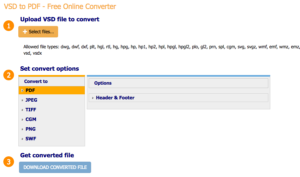 One more advantage is the PDF converting availability with a high quality image. VSD viewer is also available for iOS and Android.However, you won’t be able to make any changes in Visio® files. If you need more options and would like to annotate and change Visio flowcharts on Mac go to the following option below. You’ll be quite pleased to learn about VSDX Annotator – a new tool to view and annotate Visio documents on the OS X operating system. It is powerful software with an advanced ability to edit Visio® files, convert .vsd, .vdx and .vsdx files to PDF and even save .vsdx files in the same extension. It has 12 annotation tools, which include texts, notes, arrows, shapes, pointers and even graphic image insertion. VSDX Annotator is a great alternative tool to MS Visio® when you need to make some changes in a file. It allows you to create basic shapes, lines and arrows in a document and to add titles, comments or question shapes for your colleagues. It’s not free, but it’s a lot cheaper than Visio®. It is a perfect solution for distributed teams that need to view Visio documents on different operating systems.